WIN! Organize for trial with a trial notebook and forms. Use with witness preparation aids, question outline checklists, and objection checklists that LawyerTrialForms can provide. Contains short law points for active in-battle use. An exhibits foundations and law summary for deposition and courtroom use. Even the best investigator or legal assistant needs to be reminded to record all changes in custody of potential evidence. Your discovery requests for production and inspection always should end with a catch-all set of demands that forms a wide net, designed to keep you reasonably protected against surprise items. A Witness Preparation Instruction Handout The one best aid for preparing witnesses to testify. Witness Instruction Handout is an easy to use tool for you to teach in the office, and for your witness to learn at home. This is a free tactics article with an “extra” idea that will help you teach witnesses how to get out of a hole they have created for themselves by misspeaking or failings of memory, after they realize their mistake. Send this to the person who is going to be doing the actual videotaping of the deposition you have scheduled of your own witness (or an adverse witness) that may be used at trial. This MVA – Police Officer Interview – Deposition – Trial Testimony – Checklist Will be Used in Almost All of Your Motor Vehicle Accident Cases. For Plaintiff offices. Designed to give a psychologically effective path to communicate the serious nature of the bodily injury through the treating physician or surgeon. A 16 page report of advice and questions outline checklist form. If you are going to ask for an attorney fee award, or may have to defend against an attorney fee award, you need the Attorney Fee Awards Handbook. This is 199 pages chock full of compacted, down to earth, direct, stay out of trouble, advice. Law, tactics, and forms, including a trial question outline for the direct examination of your own expert witness on your request for an attorney’s fee award. For most attorneys, the best method to get ready — to organize — for a trial is first to buy a bundled trial notebook system. Most attorneys don’t get to trial much, which means most attorneys have not developed their own trial notebook system. The remedy is simple: Start your litigation and trial preparation by using a notebook system developed by a senior and experienced trial attorney. Read who wrote ours! The proven system we offer is more than a method of organizing you for trial. 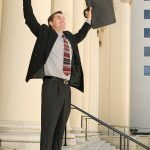 LitigationReady!™ also has pages of tips and tactics. For example, LitigationReady!™ contains a form “Standard Questions to Use Against Adverse Witness” to place in your notebooks. Every trial attorney needs to have some standard questions and lines to use in situations which are common in litigation. So LitigationReady!™ has those standard questions and lines. Litigation is an information business. The obvious information you need to present to others is your client’s story. But there is plenty of other information you need to present to the other side and to the judge and jury. What scares a lawyer the most is getting buried in unorganized information and then — forgetting to ask the critical question, losing an advantage at trial, or not having the foundation to get an exhibit into evidence. They don’t know the tactics! They do not have the checklists they need during the trial! It’s a matter of tactics, organization, and checklists — That’s why we are here for you.